Casio is releasing the limited edition G-Shock GA-700EH-1A designed by artist Eric Haze in celebration of the upcoming G-Shock 35th Anniversary. Not to be confused with the GA-735A-1A from the 35th Anniversary Collection, the GA-700EH-1A features an Eric Haze logo on the face, an engraved logo on the stainless steel case back, and a brushstroke-inspired black and white band print with “2017” on the strap keeper. 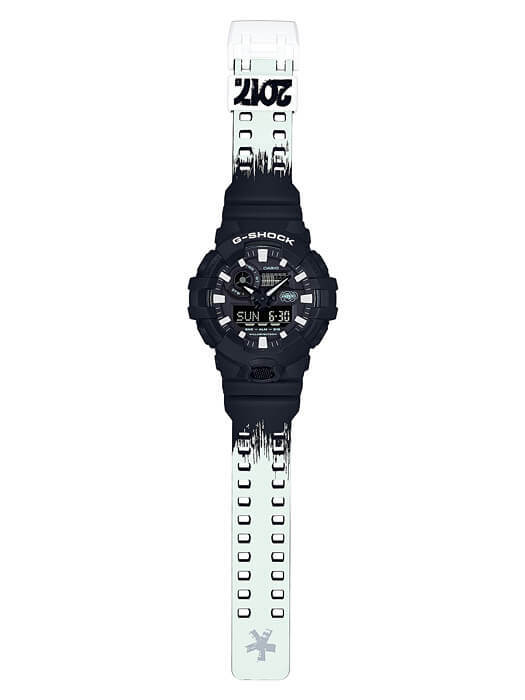 This is the seventh G-Shock collaboration watch featuring the New York-based Eric Haze. 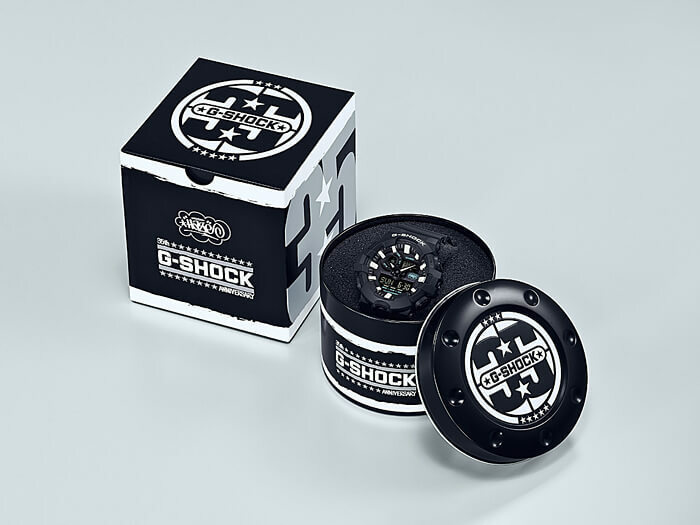 Haze also designed the logos for the G-Shock 25th and 30th anniversaries which were used on the case backs of many special editions. Haze started out as graffiti artist in the 1970s and was a pioneer in bringing street art to the mainstream. Haze graduated from the School of Visual Arts in New York City and became a prolific graphic designer in the hip hop movement. He also started the streetwear brand HAZE. The GA-700EH-1A will be released internationally in October 2017. 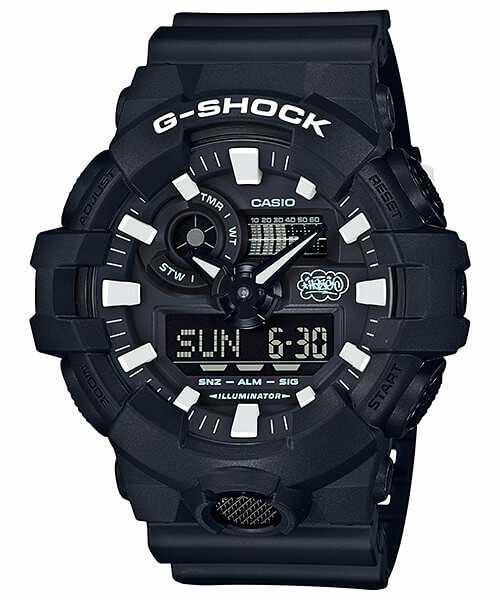 The U.S. model GA700EH-1A has a list price of $140 USD.